During these holy days, I want to join you in a celebration of life, love and the beauty in this world. 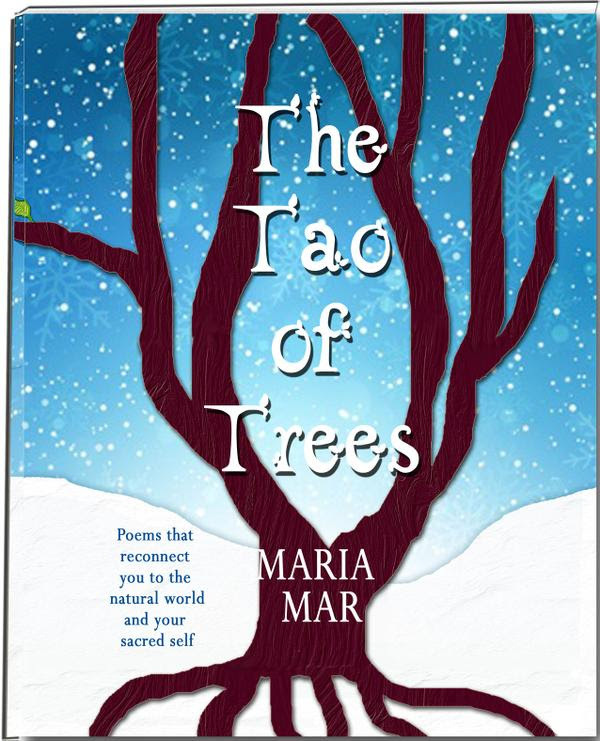 So here’s a poem and art illustration from The Tao of Trees to remind you of the magic of love and the power of gratitude. This is poem #3 and it’s in The Path of Beauty, one of seven paths in the illustrated poetry book. 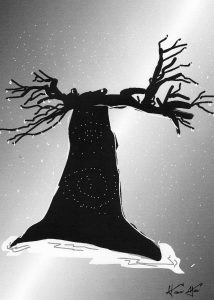 Yesterday I did not see this tree. I was in a hurry and walk past it. like the many lining my path. Now I stop in wonder. in the fingers of creation. This trunk is no longer ordinary. 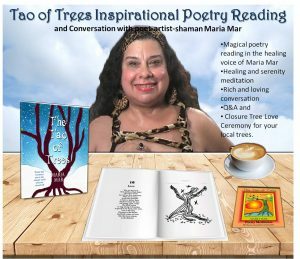 Poems to reconnect you to the natural world and your Sacred Self.